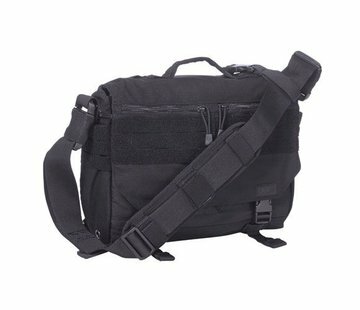 5.11 Tactical 4-Banger Bag in Black. Designed to replace a full-sized mission pack or get home bag for quick-prep operations or day-long excursions, the 4-Banger from 5.11 Tactical keeps you locked, loaded, and fully prepared for any situation. 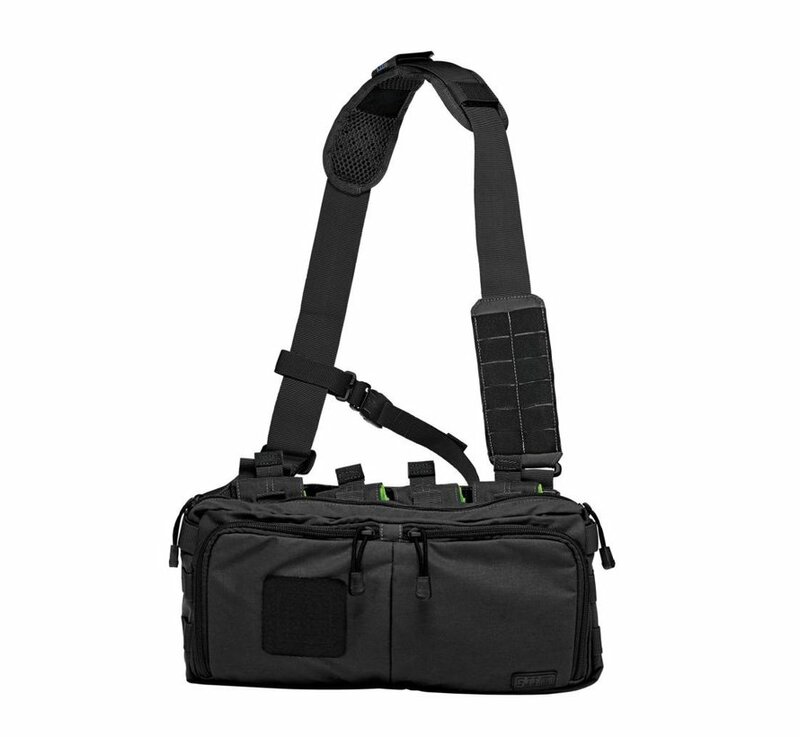 Sized to store four individual 5.56 magazines and all your crucial tactical gear in a quick and convenient get home bag, the 4-Banger features an adjustable non-slip padded carry strap with an integrated laser-cut web platform for complete customizability. The central storage area offers elastic bands and compression straps for stable and secure magazine storage, and a dual-zip storage area at the front offers plenty of room for optics, maps, or tactical accessories. A concealed handgun pocket at the rear offers integrated elastic retention and quick two-side access, a front-facing loop patch supports an ID or flag attachment, and a high performance weather resistance treatment keeps your gear clean and dry in any environment.